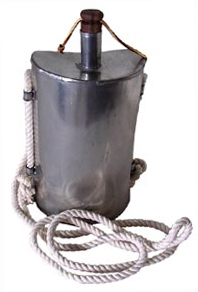 This is a slightly smaller version of our British Enlisted Man's Goatskin Knapsack kit. 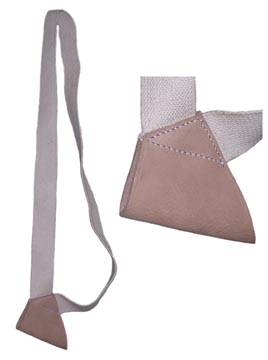 It is slung over the shoulder by a single leather strap. They are truly beautiful items, and of course, hand made. 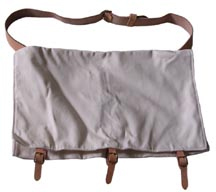 We provide the canvas bag, straps with buckles attached, goat fur, waxed linen thread and instructions. Available as kits only.